Also if there is one you particularly like, please phone to check it has not been sold to avoid disappointment. 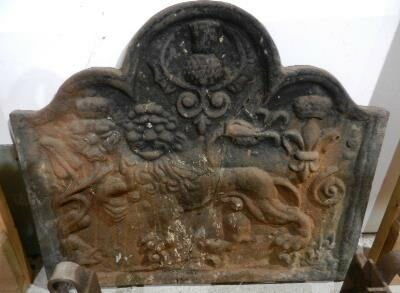 A cast iron fire back of a lion and thistle. 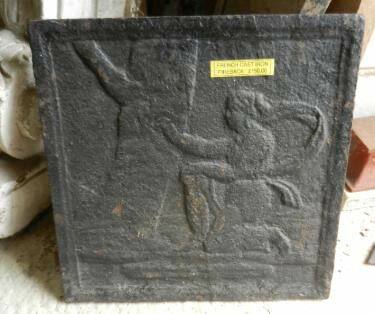 This fire back has at some time been repaired, please click on *detailed image* to see repair. 685mm (27") high to top of arch. 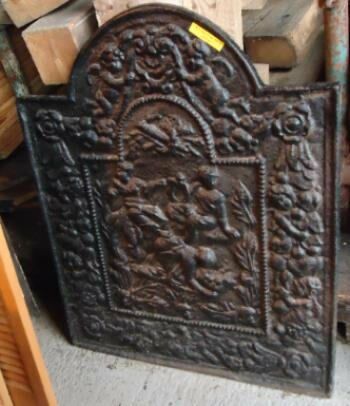 A large, very heavy, cast iron, ornate fire back. 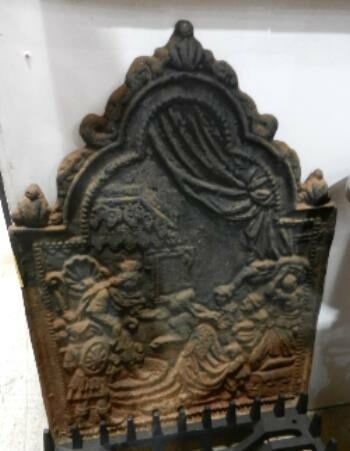 890mm (35") height to top of arch. 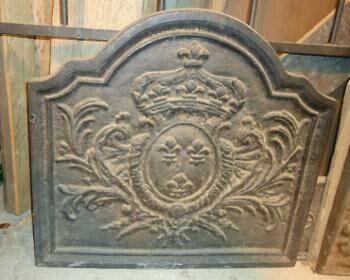 A cast iron ornate, ornate, fire back. 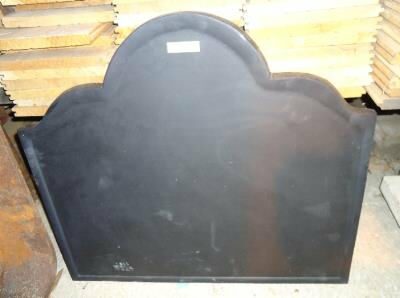 560mm (22") high to top of arch. A reclaimed, cast iron ornate, heavy, arched fire back. 585mm (23") high to top of arch. 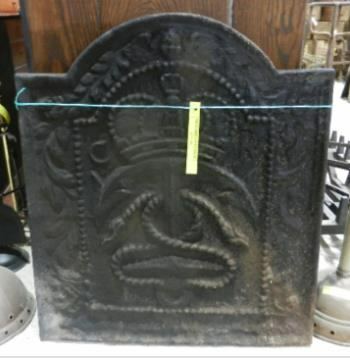 A reclaimed, cast iron, ornate fire back. 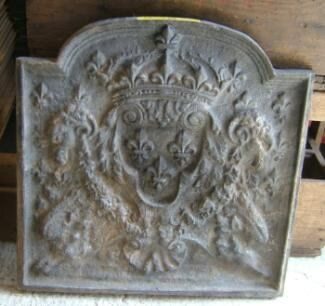 A cast iron, ornate fire back. 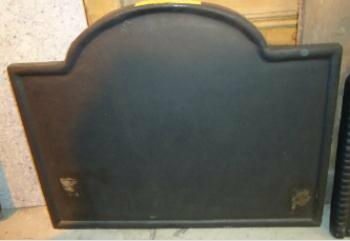 A cast iron, heavy plain, arched fire back. 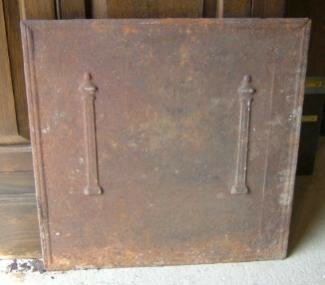 A large plain, reclaimed cast iron fire back. 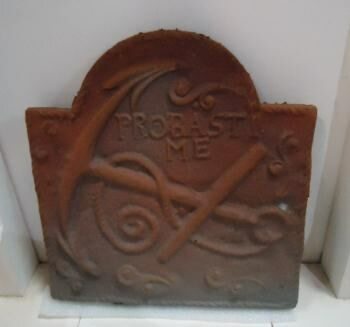 A small reclaimed cast iron fire back. 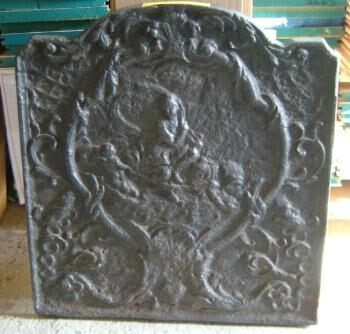 A reclaimed, cast iron fire back, with ornate raised casting. 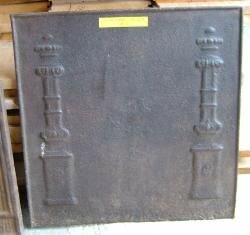 A small reclaimed cast iron fire back with column motifs. 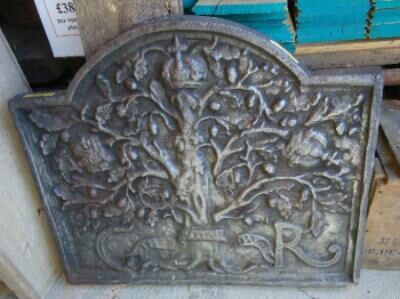 An old reclaimed, cast iron fire back, with ornate raised casting. 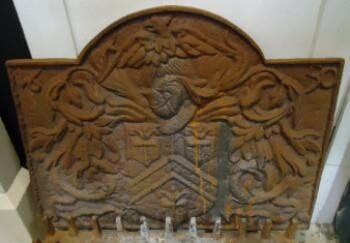 This fireback at some stage in its life has been repaired, please looked at the "detailed image" to see the repair. 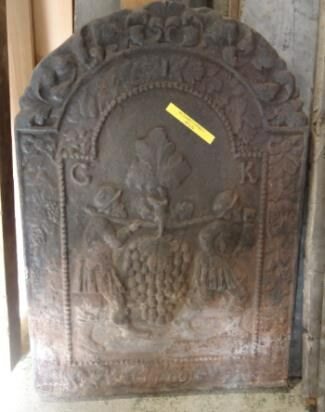 A reclaimed cast iron fire back, with grape carriers..
A reclaimed, cast iron fire back, with ornate raised casting of an anchor. 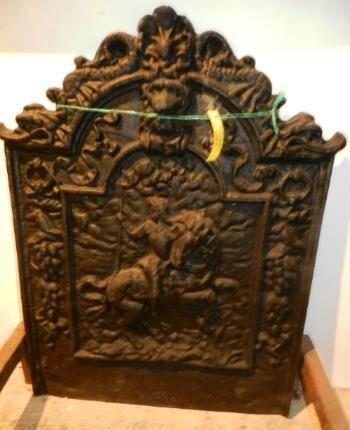 A cast iron fire back, with a raised motif of the "Laughing Lion"
A large cast iron fire back, with a raised motif of the "Royal Oak"
A very large, old cast iron fire back, with ornate raised casting of " The Arch Angel Micheal slaying Satan disguised as a Dragon . 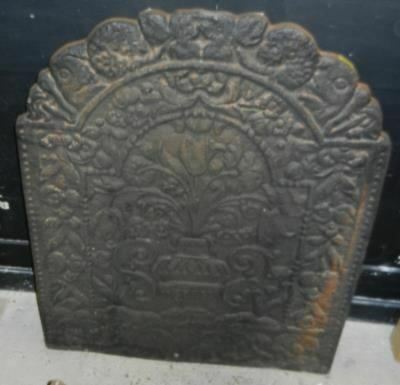 A large cast iron fire back, with cherubs and flower raised motif. Very heavy. 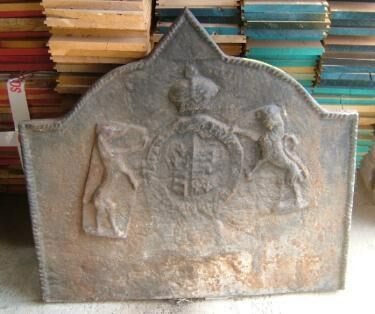 A reclaimed cast iron fire back, with a shield and bird, raised motif. 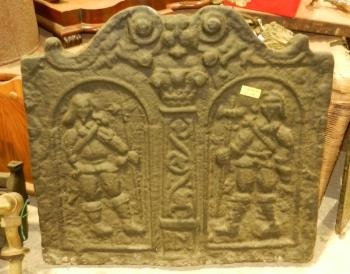 This fire back, has had some repair work done to the back. Please click onto the "detailed image" to see repair. 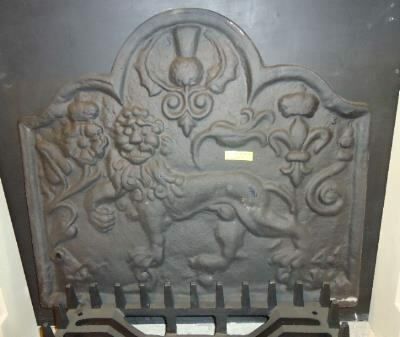 A reclaimed, cast iron fire back, with ornate raised casting of a lion, unicorn and crown. 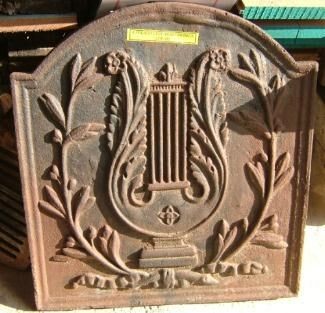 A reclaimed cast iron fire back, with an achor raised motif. 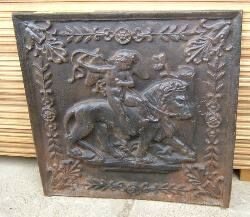 A reclaimed old, cast iron fire back, with ornate raised casting of a rider on horse back. 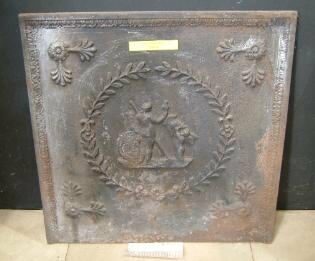 A reclaimed cast iron fire back, with slight damage but repaired. 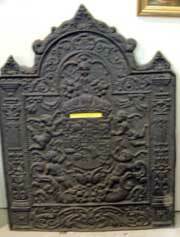 The centre portion has a raised women and animals with ornate patterning around the outside. 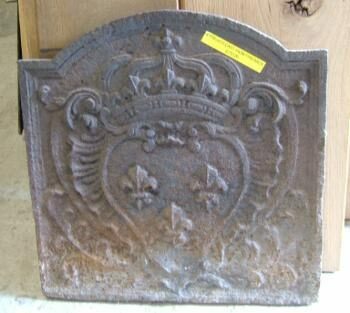 A reclaimed cast iron French fire back, with ornate raised casting of a crown, fleur de lys centre and ornate patterning. 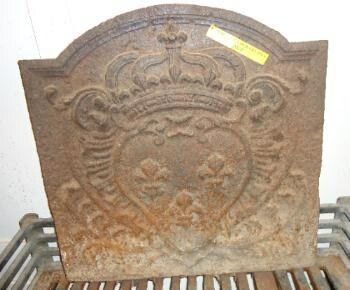 A cast iron fire back with curved top, and a crown and fleur de Lys centre motif. 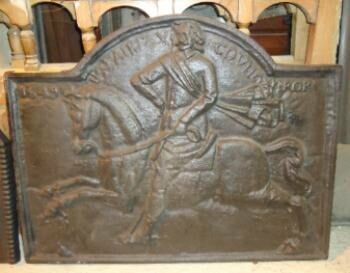 A large cast iron, heavy, arched fire back with a raised horse and rider. 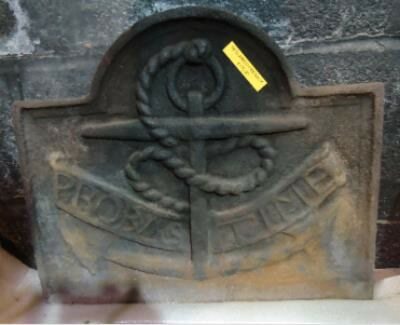 A rope edged, plain cast iron fire back. 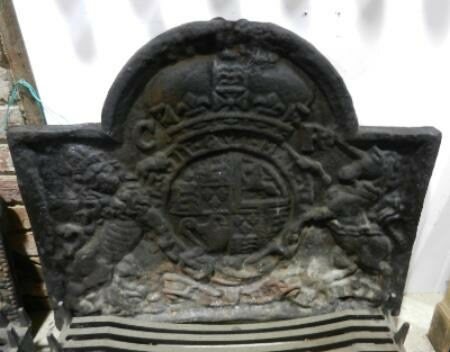 An arched head, cast iron fire back, showing crown, lion and unicorn. 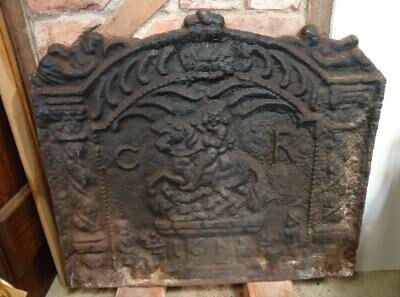 A reclaimed large cast iron fire back, showing woman, with children (cherubs), lion heads, crown on top point and lots more raised motifs. 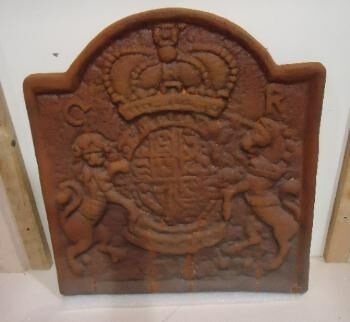 This fire back has been repaired (plated) at some stage. Please look at detailed image to see picture of repair. 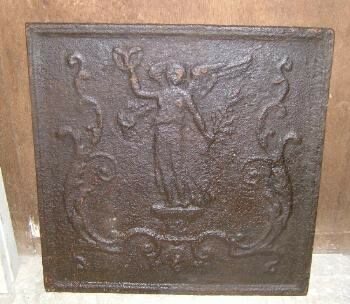 A cast iron reclaimed fire back with raised motif of an angel . 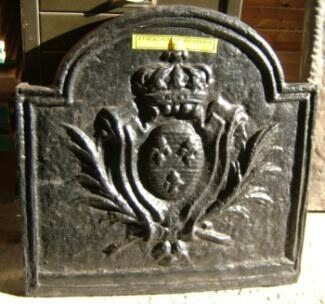 A reclaimed large cast iron, French fire back, showing a raised head of a "Mr Gambetta "
A cast iron fire back with raised crown and fleur de lys centre motif . 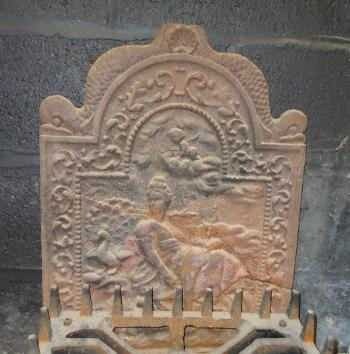 A reclaimed large cast iron fire back, showing raised cherubs etc. 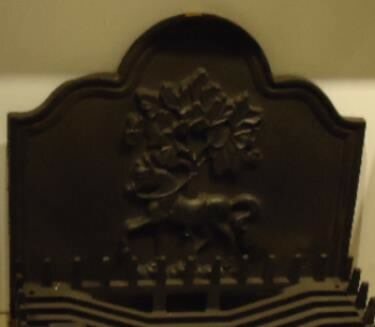 A cast iron fire back with raised motif . 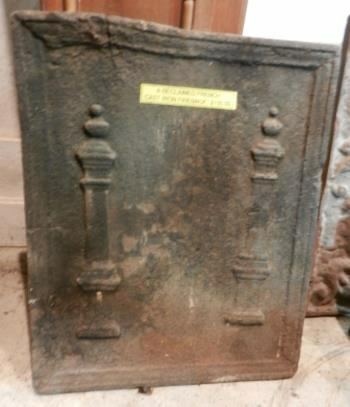 A reclaimed large cast iron fire back, showing raised column motifs. 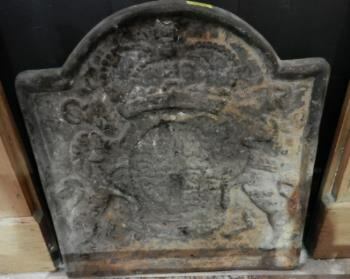 A large, very heavy reclaimed cast iron fire back, with ornate raised casting of a crown, unicorn, lion and coat of arms in the centre. (30 1/2 ") high to top of point. 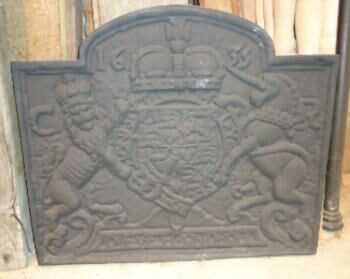 A reclaimed cast iron fire back, showing a raised crown and a curved top. 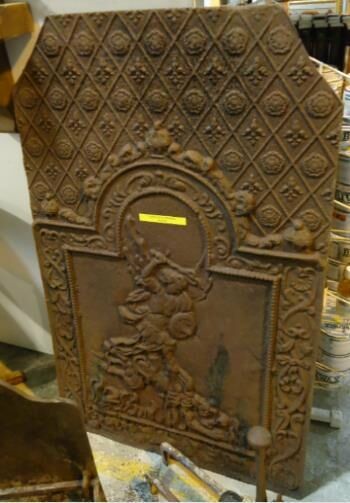 A reclaimed cast iron French fire back, with ornate raised casting of a man with a sheild and staff, and a cherub with a bow and arrow. 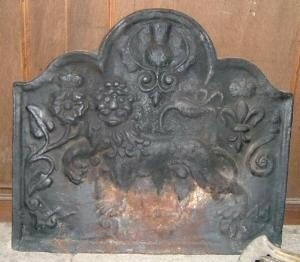 A large reclaimed cast iron fire back showing a lion and thistle. 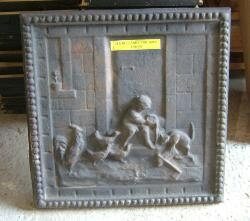 reclaimed cast iron French fire back, showing a child feeding a cat with the chickens looking on. 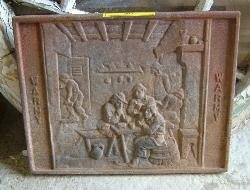 A small reclaimed cast iron fire back, deplicting a 'Tavern' scene and the word "WARMY" down each side. 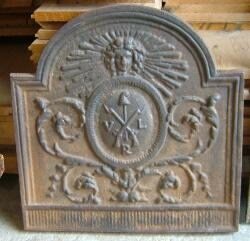 A very old reclaimed cast iron French fire back. 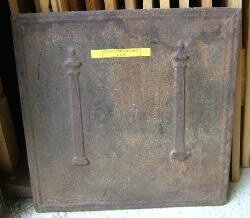 Description: An old French reclaimed, cast iron fire back with column motifs. 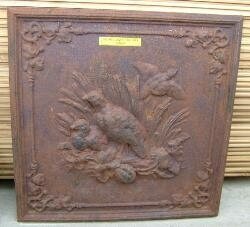 Description: A old reclaimed cast iron French fire back. 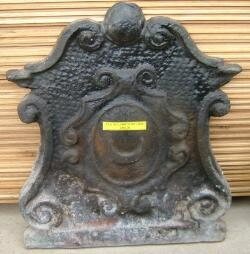 Description: An old chunky reclaimed, French cast iron fire back'. 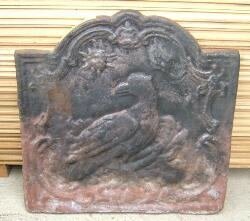 Description: An old reclaimed, French cast iron fire back of with an 'Eagle' motif. 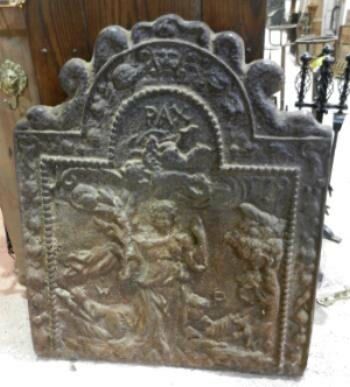 Description: An old reclaimed cast iron "French Fire Back" with ornate casting round a 'Cherub and Lion' motif. 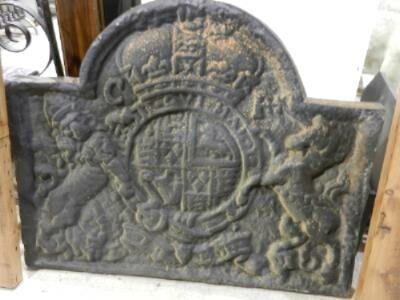 Description: An old French, cast iron fire back. 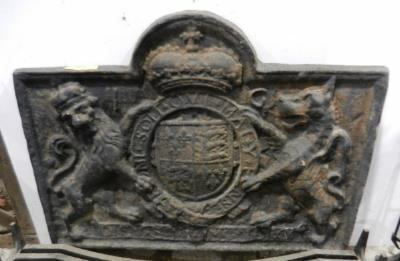 With cherub and lion motif. 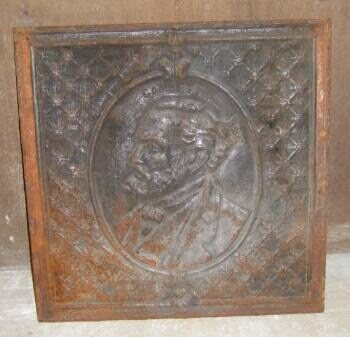 Description: A Cast Iron fire back with a shield motif. 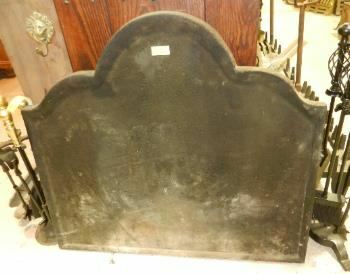 Description: A curved shaped top,fairly plain cast iron fire back. 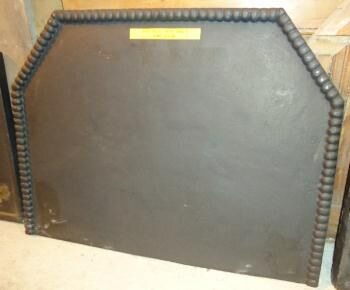 Description: Large Cast Iron fire back. 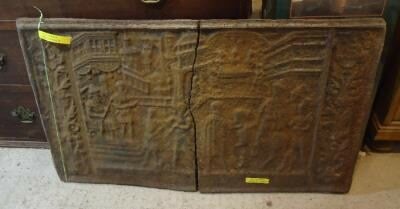 Description: A very large reclaimed old, cast iron fire back. 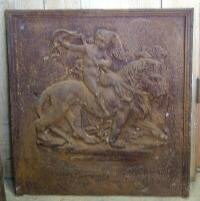 This is damaged but has been plated and repaired over the years. 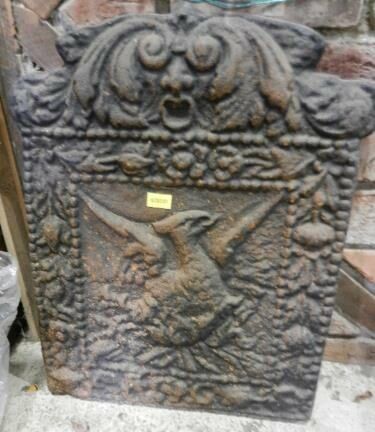 Description: Reclaimed French Cast Iron fire back. 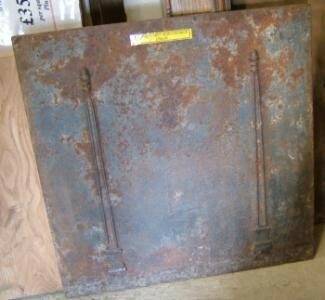 Description: Reclaimed Cast Iron fire back. 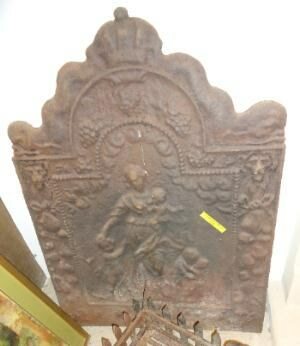 Description: Cast Iron arched head Fire Back. Cherubs and Coat of Arms design.